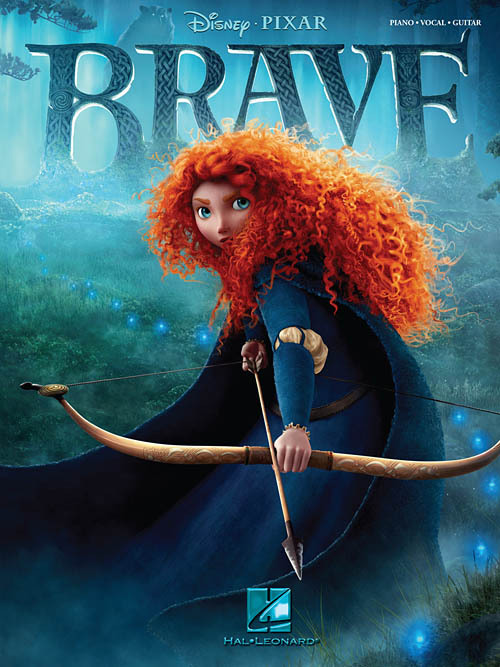 Set in Scotland, this Disney/Pixar blockbuster tells the tale of a Merida, a skilled archer who defies tradition, causing chaos in her kingdom. Patrick Doyle's stellar score brings the music of the Highlands to life, with classic Scottish dance rhythms performed on traditional instruments (The Games • Song of Mor'du • Noble Maiden Fair • Merida's Home). Our seven-song folio also features three originals: “Touch the Sky” and “Into the Open Air,” both by Julie Fowlis, and Mumford & Sons' “Learn Me Right.” Contains eight pages of awesome full-color art from the film!